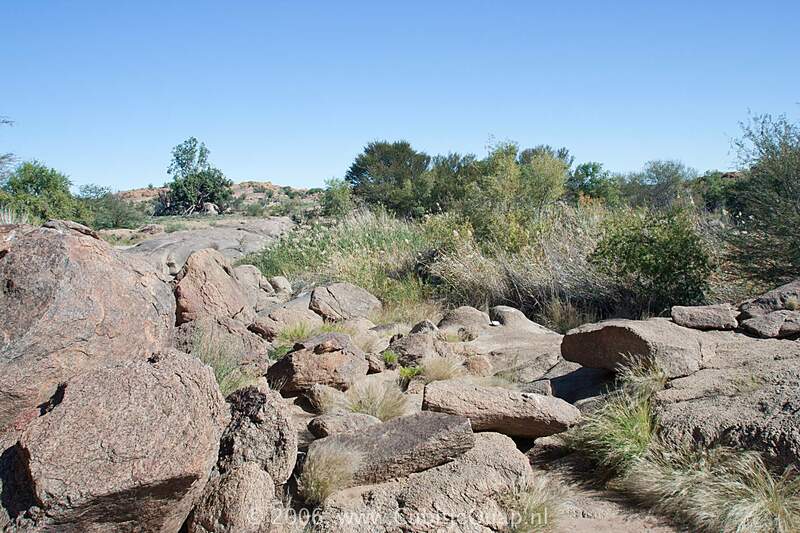 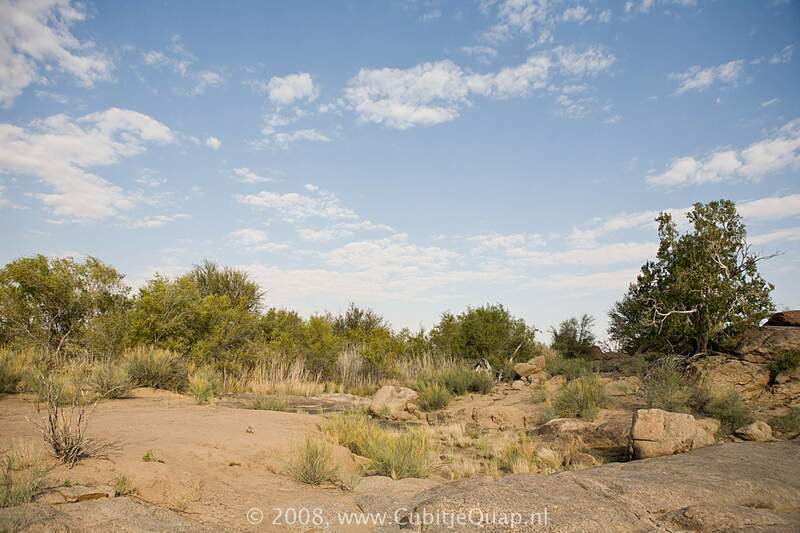 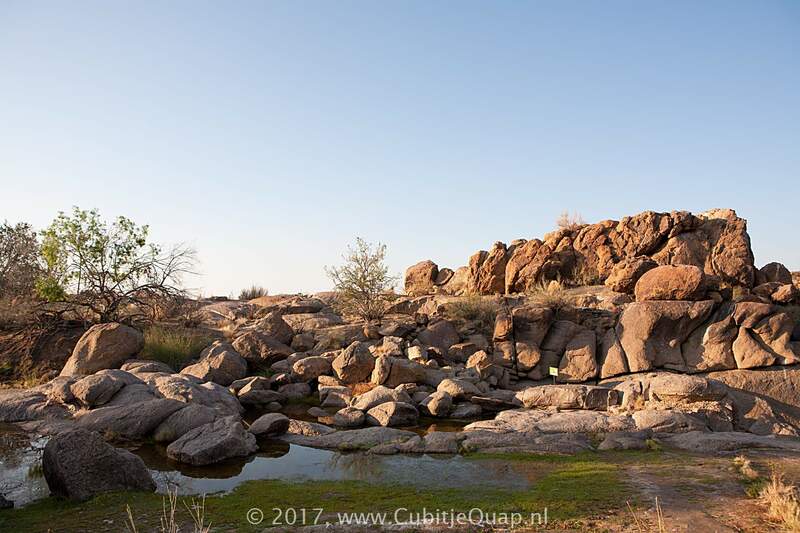 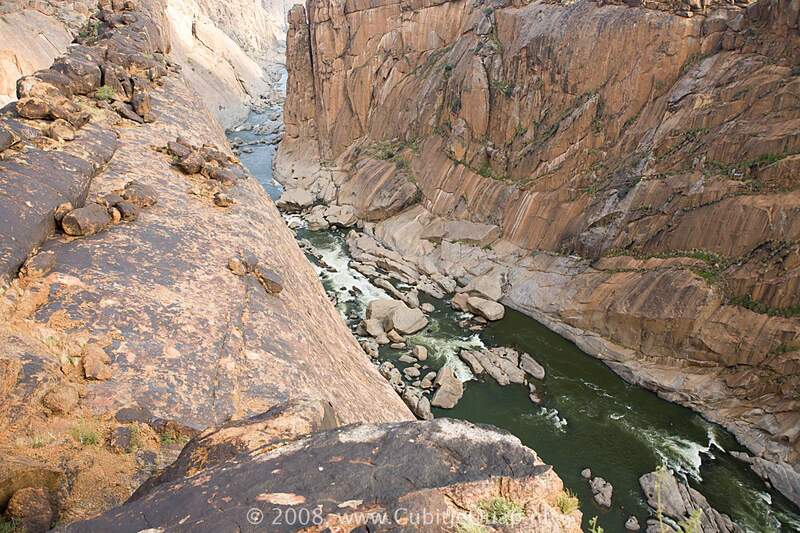 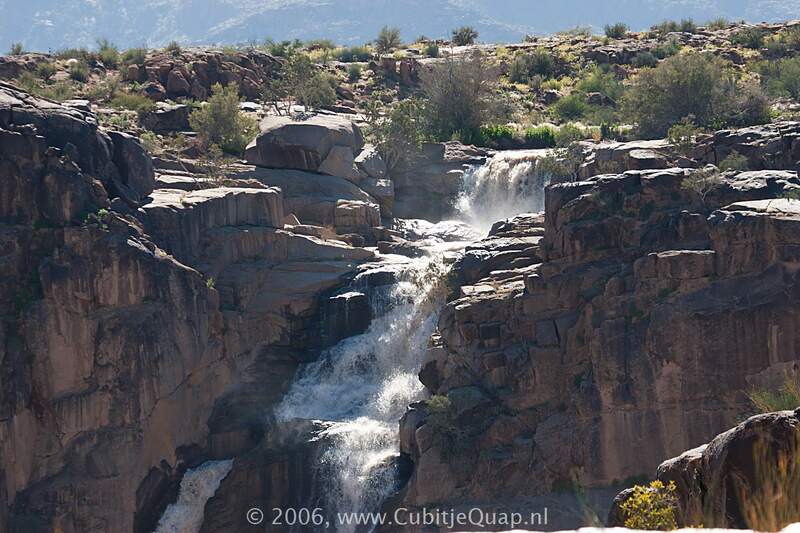 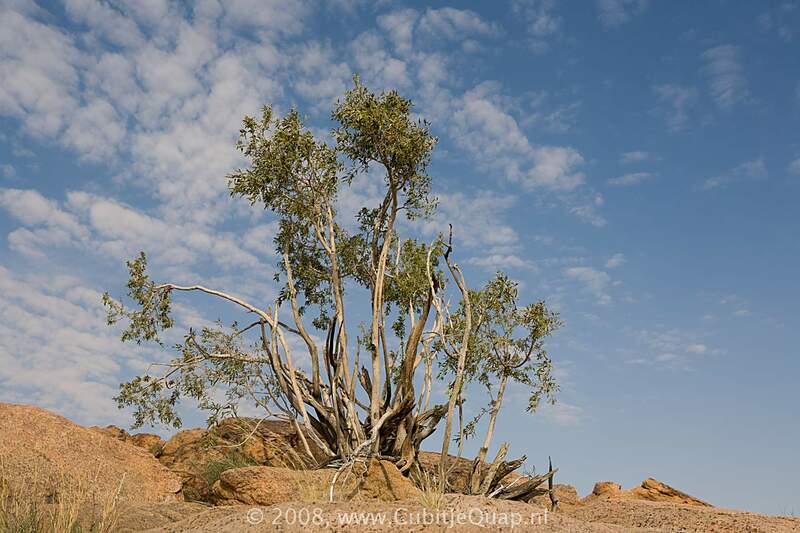 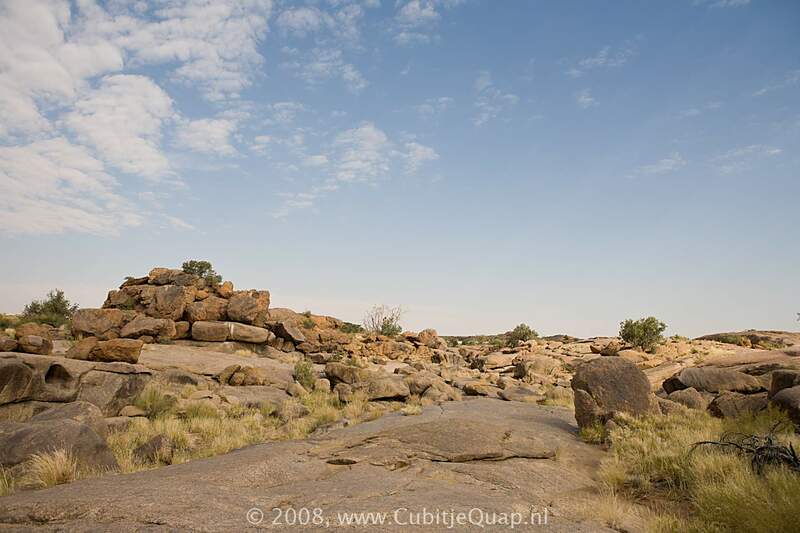 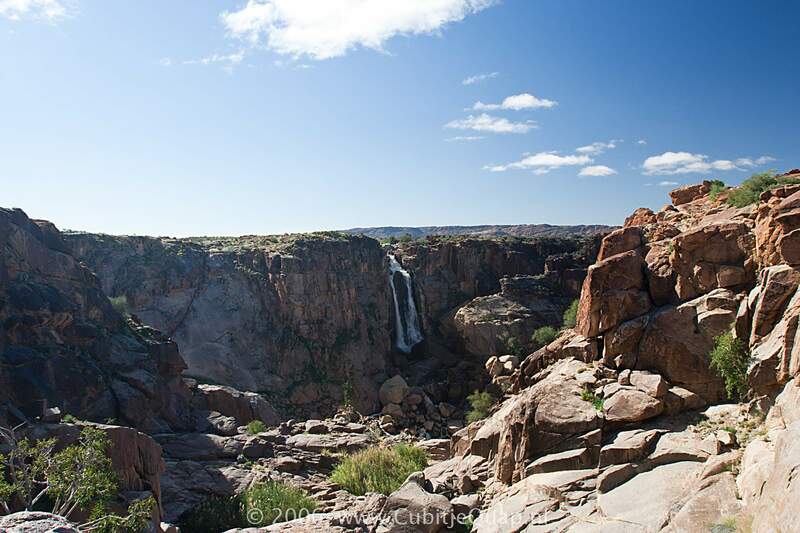 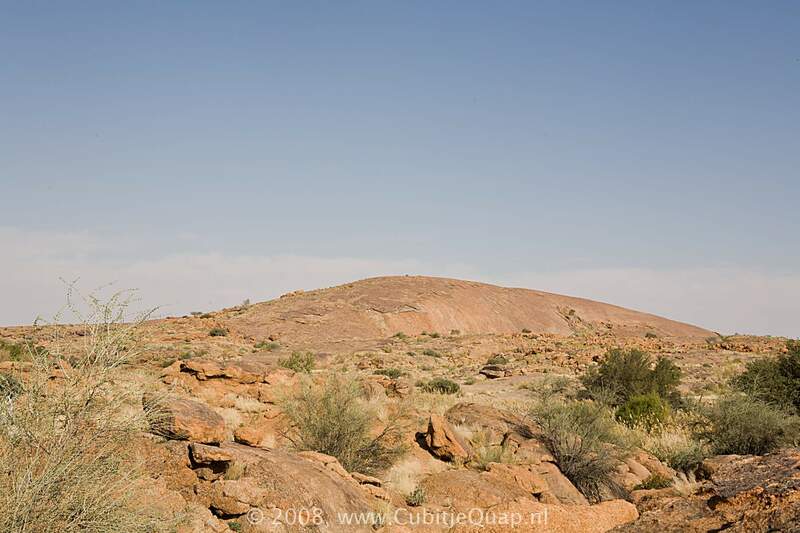 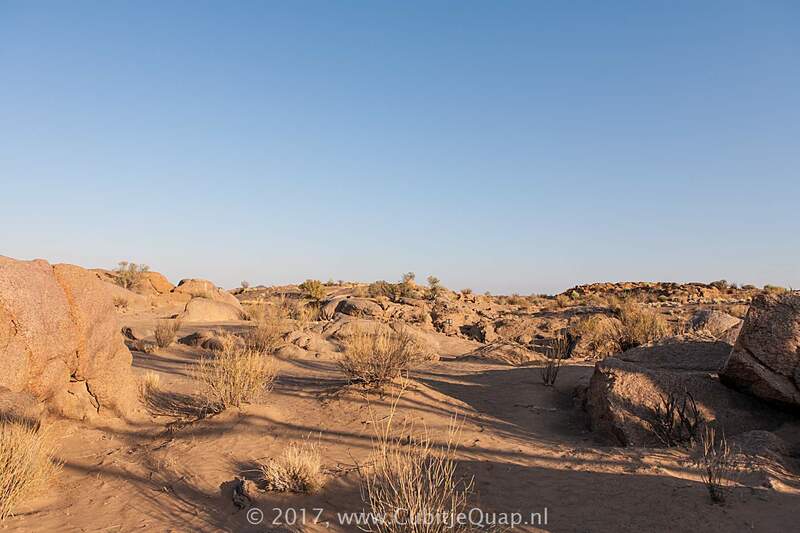 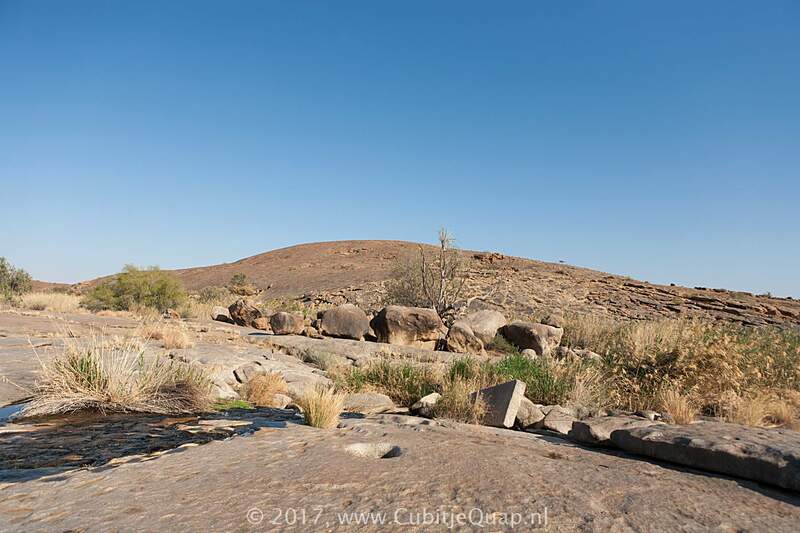 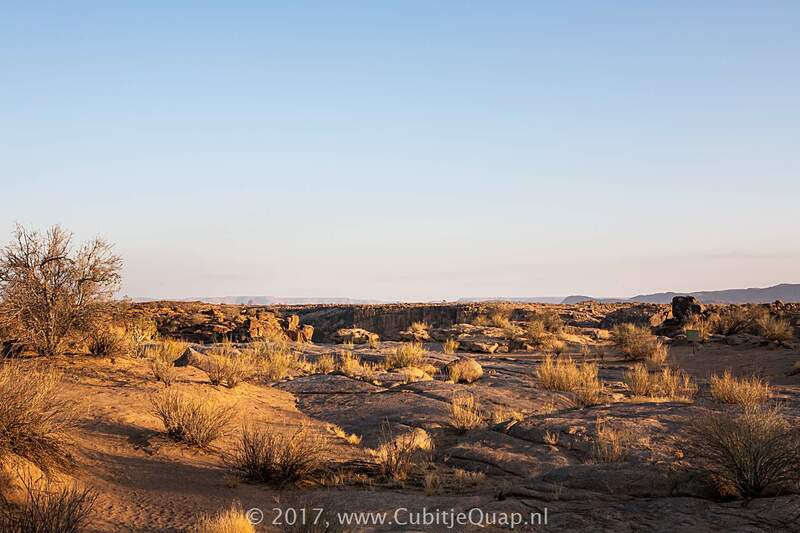 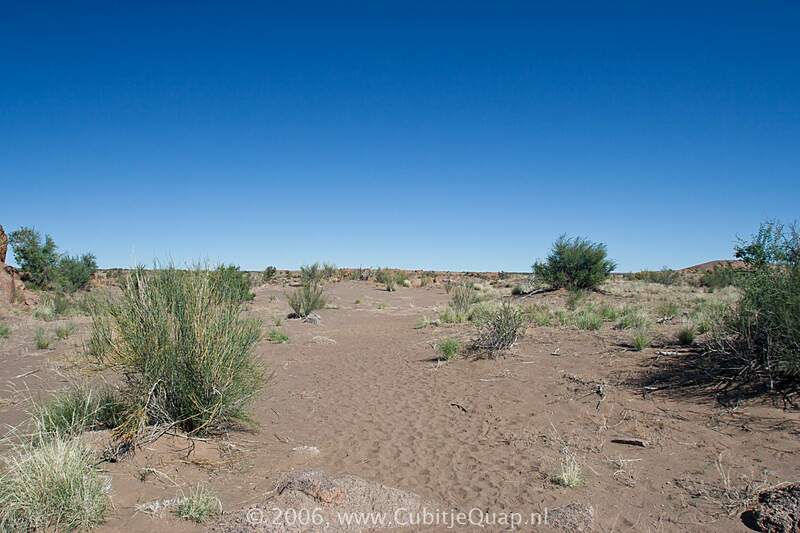 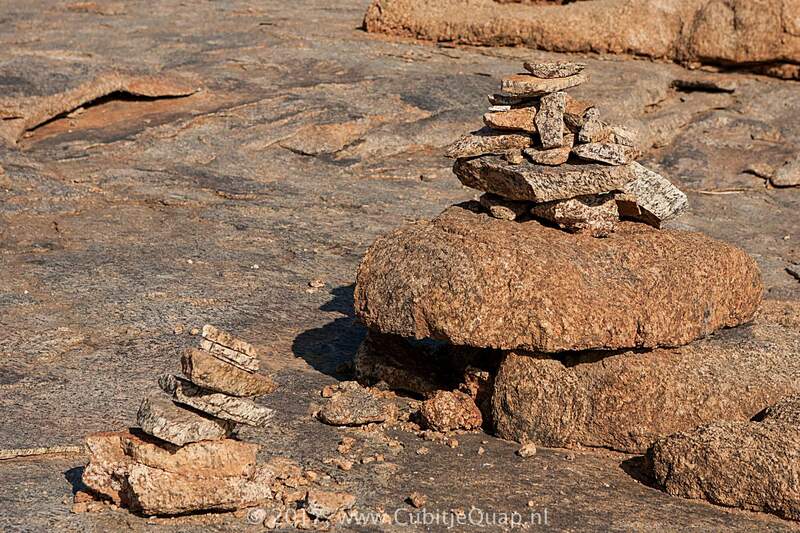 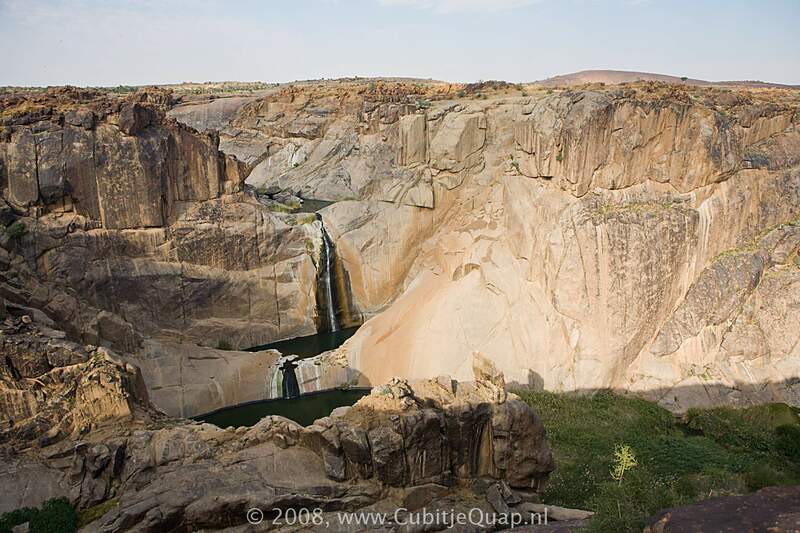 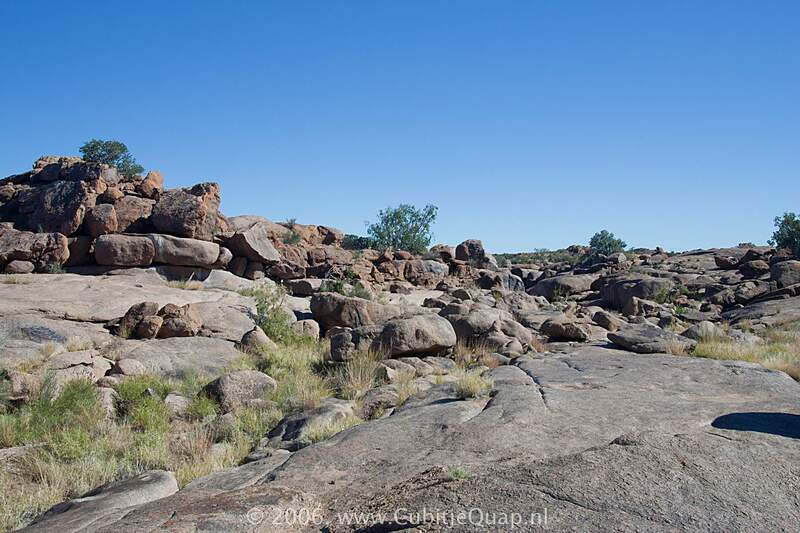 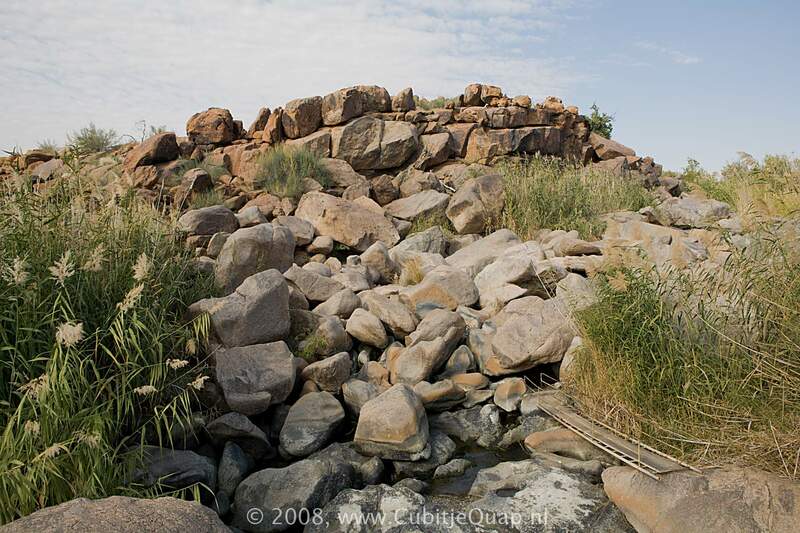 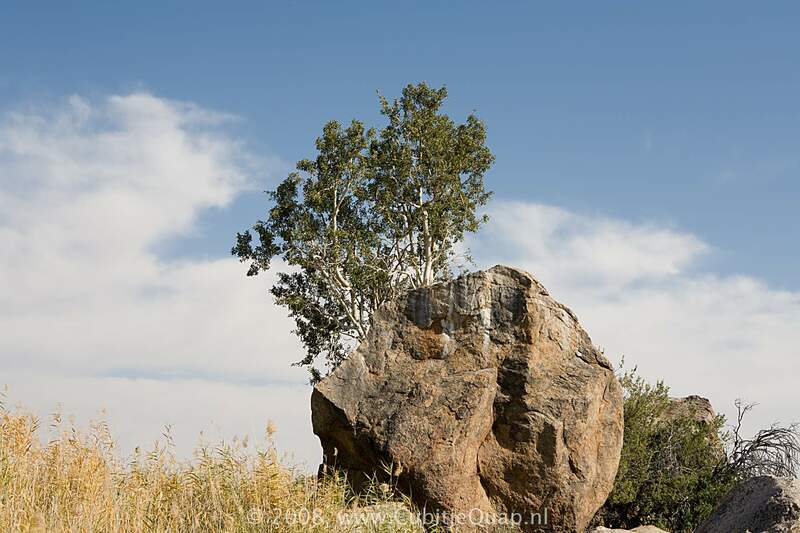 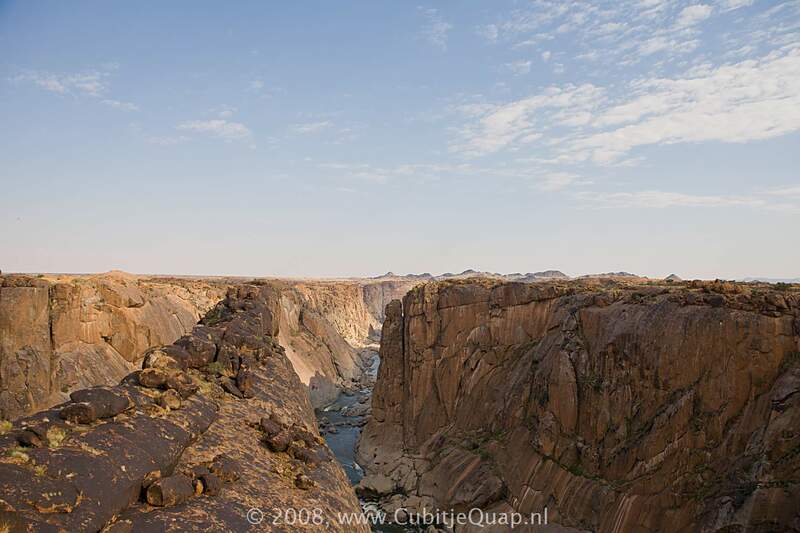 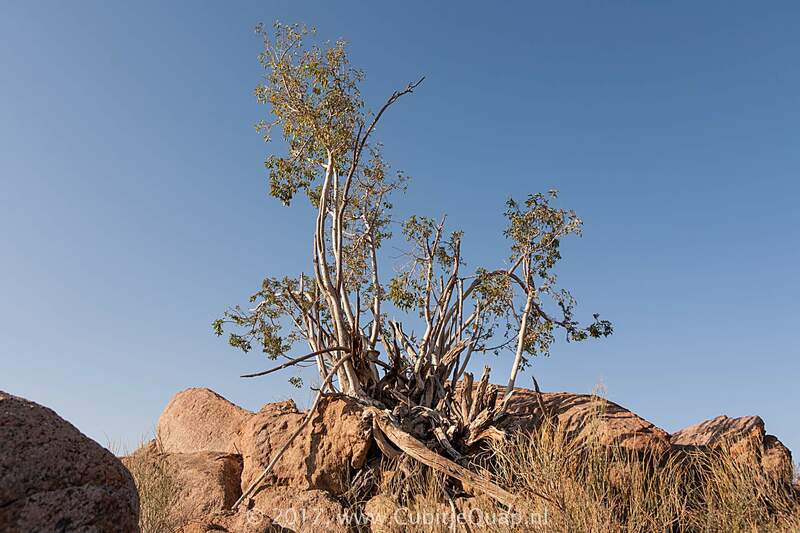 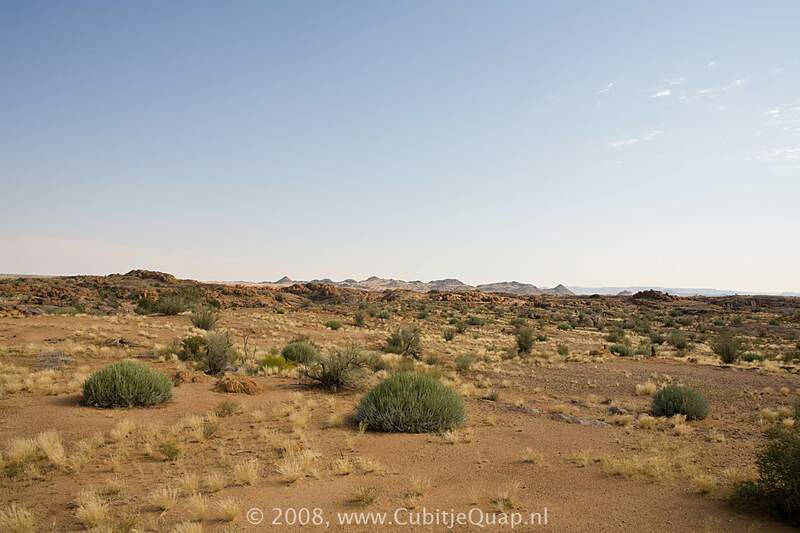 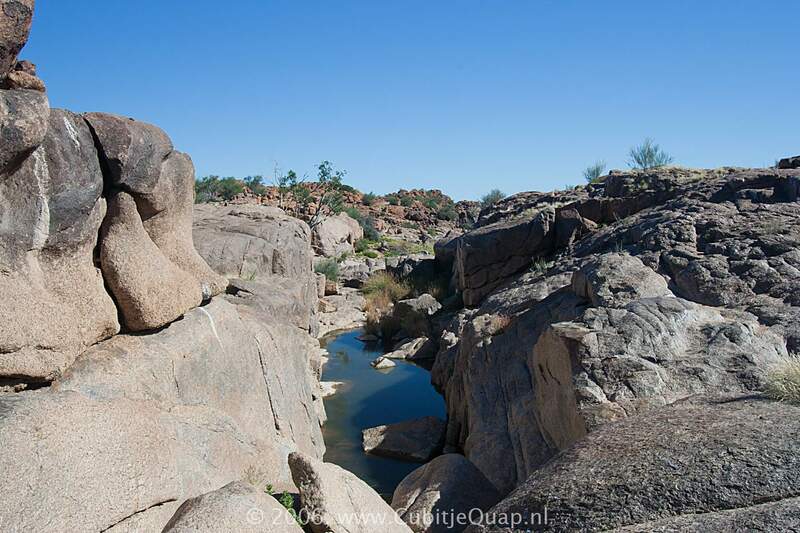 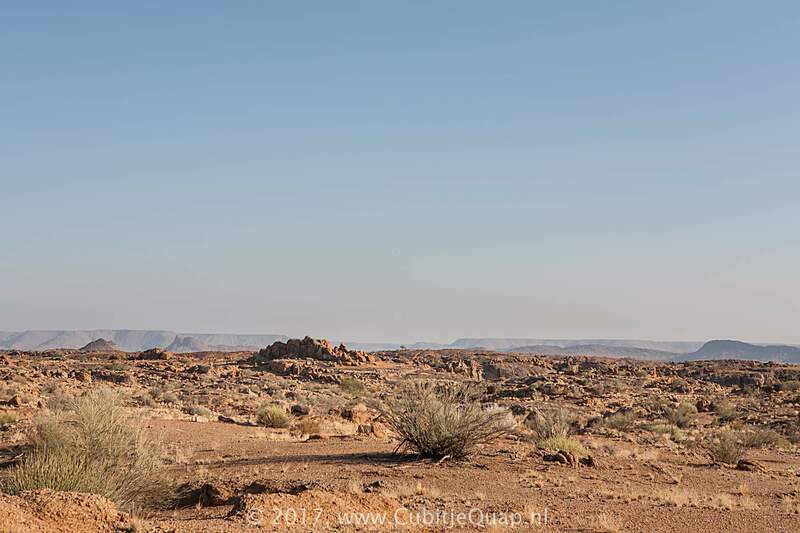 The Rock Dassie Trail is one of the populair walking trails in the Augrabies National Park. 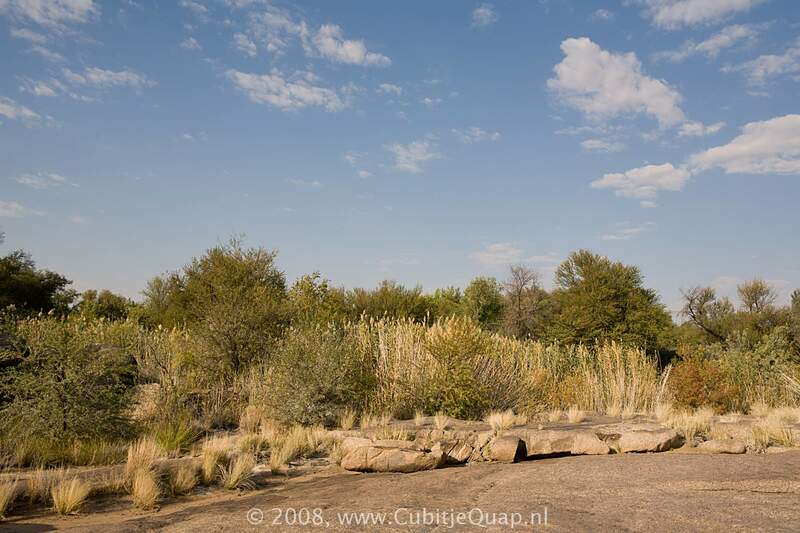 It's about five kilometres long and runs through the diverse nature in the park. 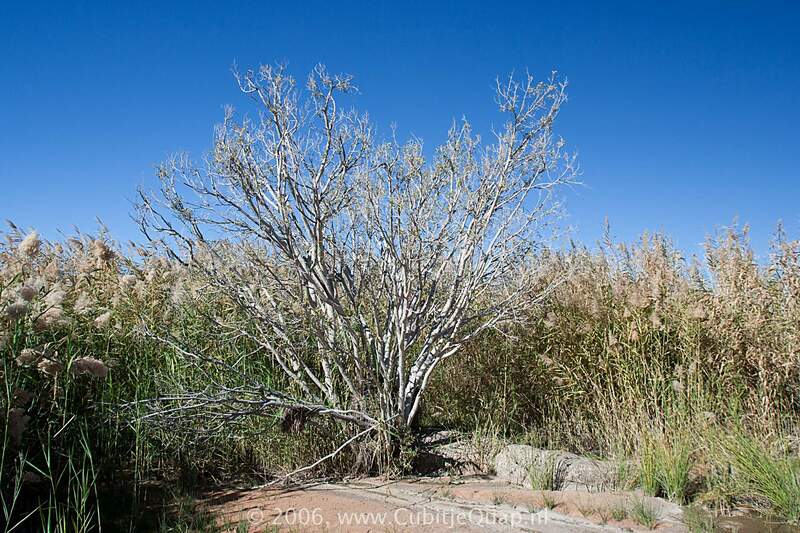 The Common Reed (Phragmites australis), derived from "Phragma", Greek for "fence", is found on every continent, except Antarctica. 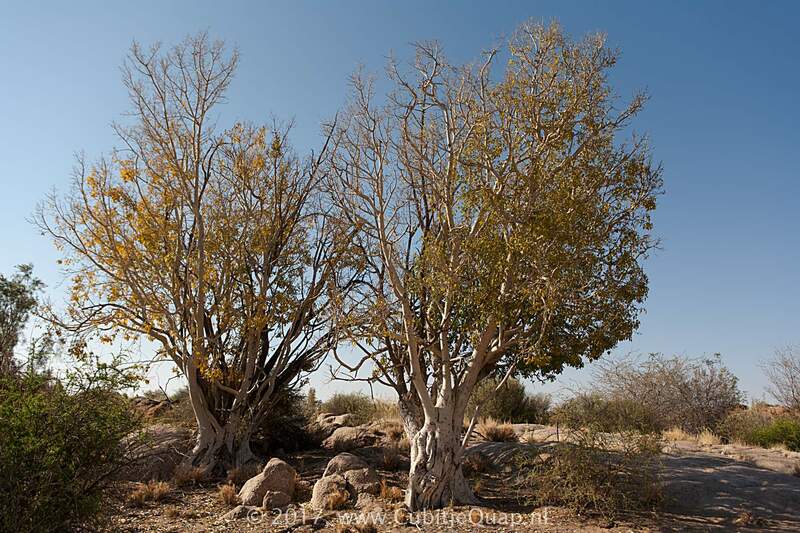 It well might have the widest distribution of all flowering plants. 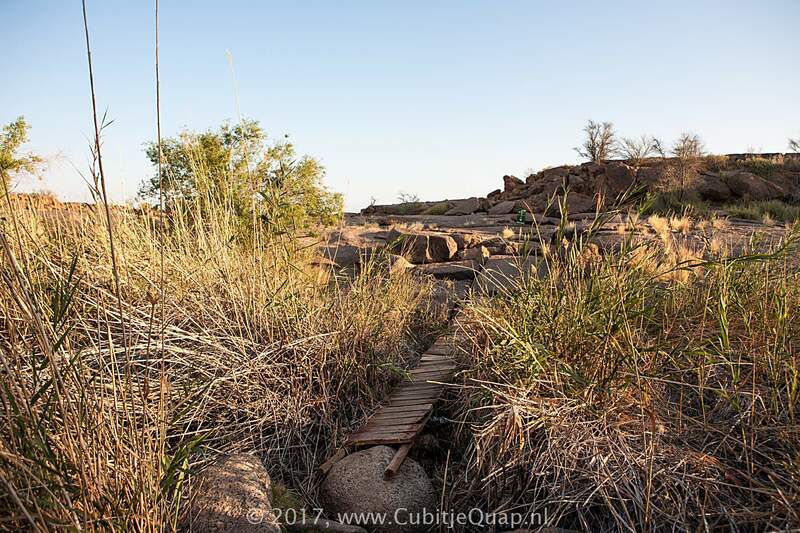 Although often seen as an aggressive invader, it filters water very efficiently, so proves very useful for sewerage works in Augrabies Falls Park. 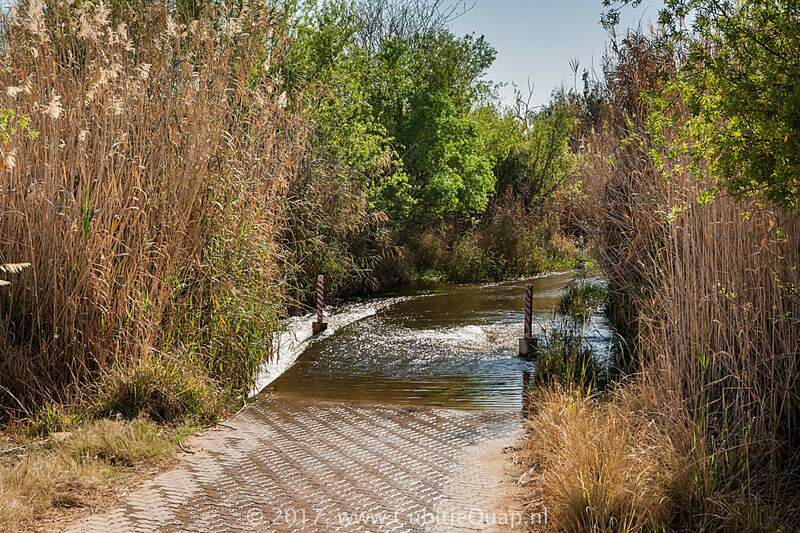 Much water is lost through transpiration in Common Reed. 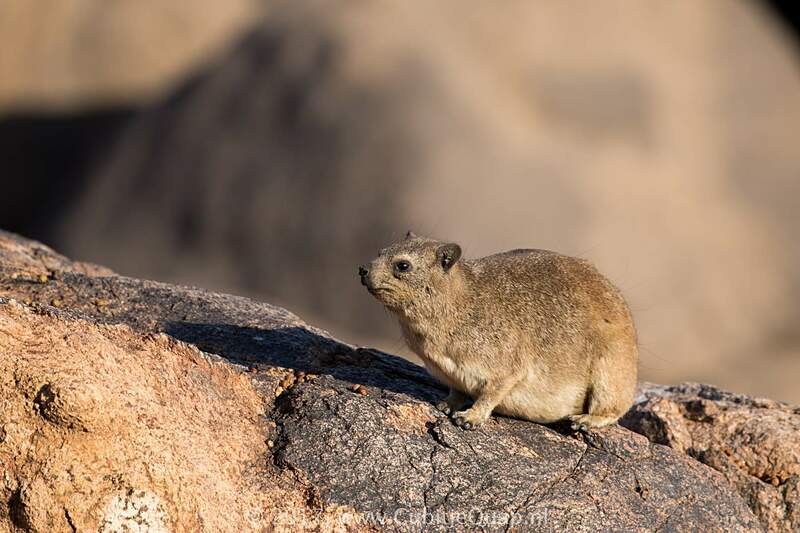 Rock Dassies (Procavia capensis) live on and around the rocks in the park. 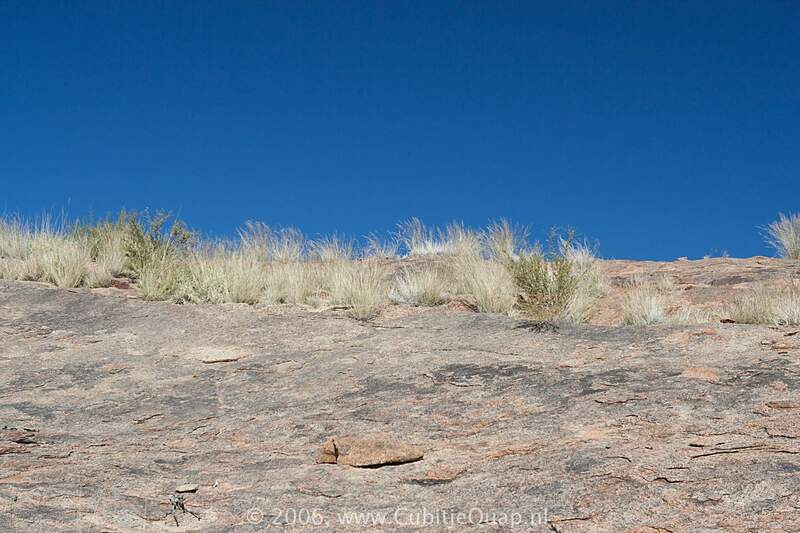 With their padded feet that are kept moist with sweat-like secretions, they're able to quickly climb steep rocks. 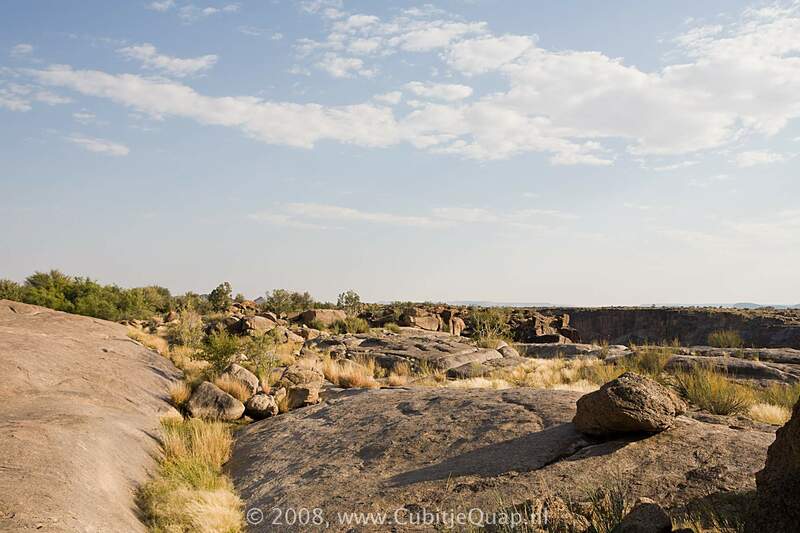 Dassies live in groups, normally containing one dominant male and many females and juveniles. 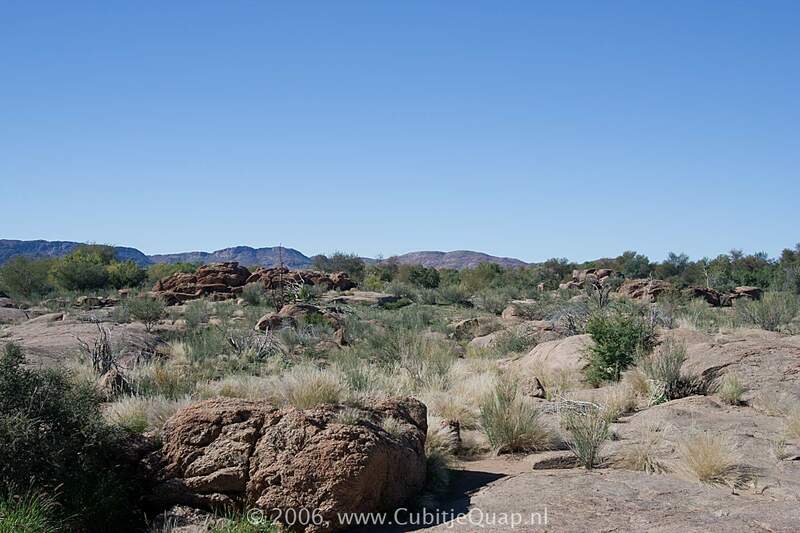 They are territorial - dominant males are known to return to their old territory when moved to other areas. 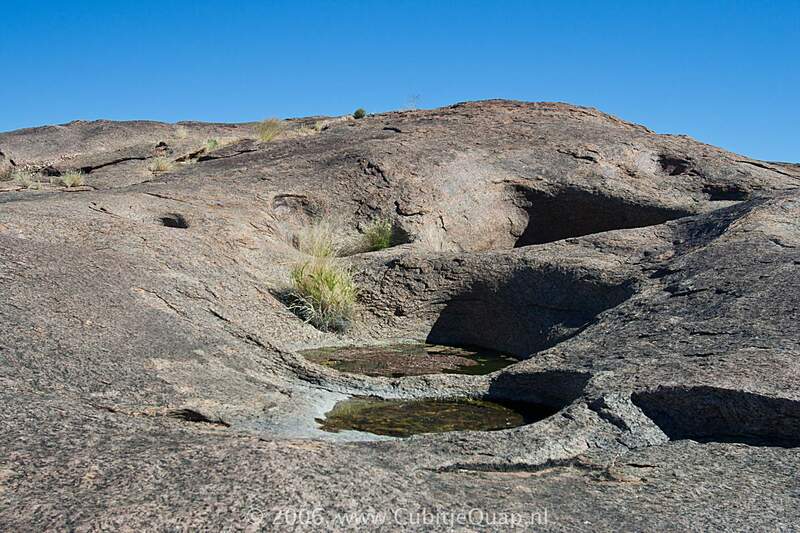 Rock Dassies reveal their presence by the white streaked urine stains on rocks. 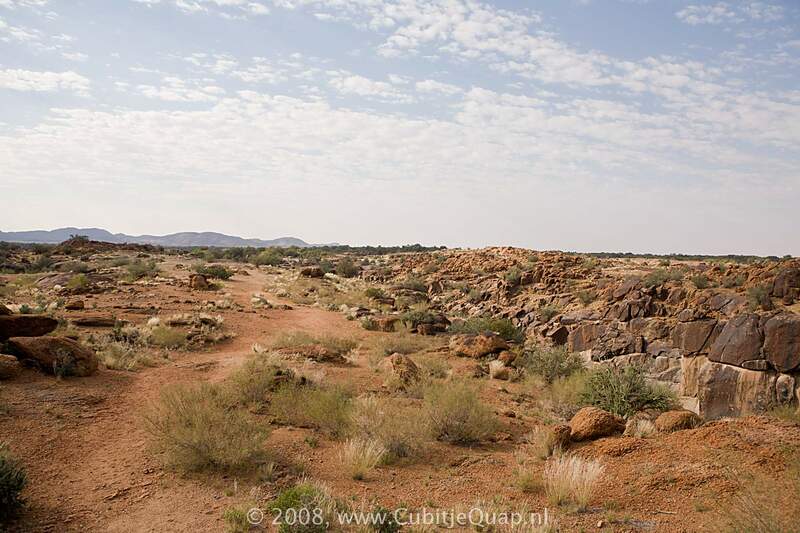 Crystallised urine was traditionally used as a medicine (Hyracium) in Southern Africa. 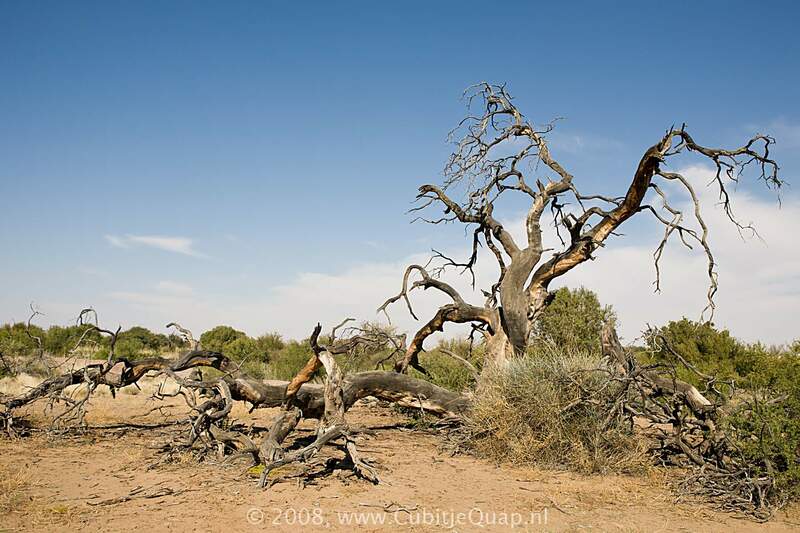 Dead plants and tree trunks can lie around for years without being broken down. 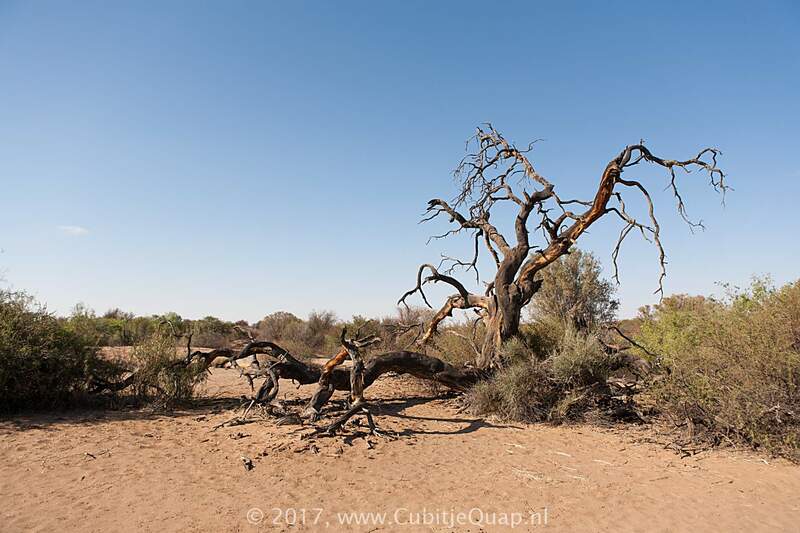 Most important decomposers of this dead material are Harvester termites.